Startup megacampus Station F will offer 120 perks, starting with Airbnb | TechCr... | Blackworld.com - Connecting the world with Africa. 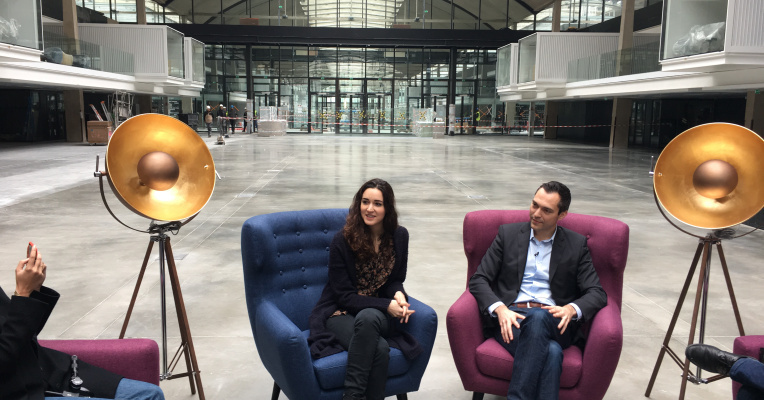 Airbnb co-founder and CTO Nathan Blecharczyk was in Paris today to announce a neat little perk for future residents of Station F.
Based in Paris, the huge Station F building is going to have 3,000 desks for tech companies of all kinds. It wants to become the biggest startup campus in the world. And Airbnb is going to offer some free credit.This is just the first perk announcement, as there should be another 119 other perks for everyone at Station F. Airbnb is going to offer 3,000 travel vouchers worth $50 each. In addition to that, anybody who wants to become a host will also get $100 Airbnb credit.Finally, five startups participating in Station F’s Founders program will receive $2,000 in free credit.“We’re just hoping to give back a little bit to the entrepreneurship community,” Blecharczyk said. Later in the discussion, he also commented about Station F and the tech ecosystem in France. “What I think is unique about here is the scale — thousands of entrepreneurs all in the same room.